Freshly Painted Interior - New Photos Coming Soon! You won't believe the setting of this beautifully updated home in the coveted golfing community of Laurel Oak. Nestled on a private, wooded, golf course homesite of over 1.25 acres, the privacy and landscaping is amazing. The home is a very unique courtyard floor plan with separate art studio/guest bedroom or whatever your imagination creates! The main home is a great room plan with a formal dining room, fantastic windows and sliders bringing beautiful light into the entire area, incredible and spacious tiled lanai leading out to the back yard, separate kitchen and eating area with loads of cabinetry, built-ins, wet bar, high end appliances, granite countertops, huge master bedroom/bathroom/built-in closet/window seat, 3-car garage and storage galore. Added bonus is a new roof in 2018, newer AC and newer Water Heater! Laurel Oak is a 24-hour guard gated community, with two championship golf courses (memberships available but optional), tennis courts, Jr. Olympic heated pool, and a fantastic location close to everything! 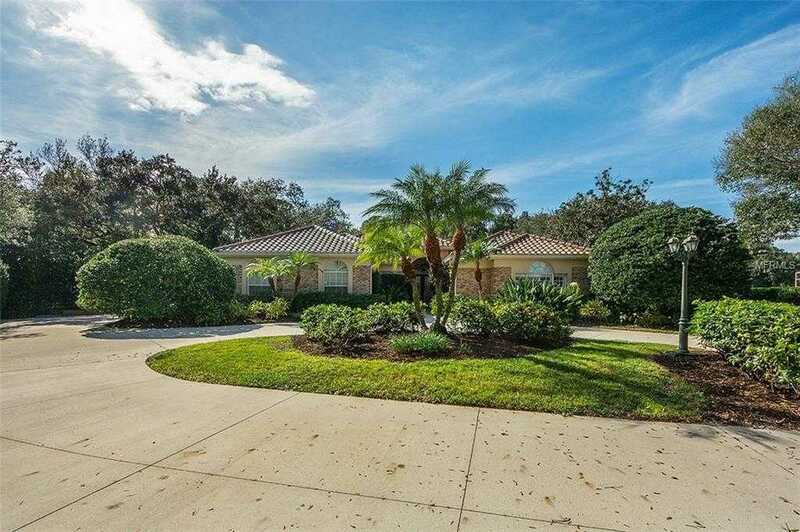 Please, send me more information on this property: MLS# A4424133 – $899,900 – 2972 Jeff Myers Cir, Sarasota, FL 34240.